Has your website been hacked? Here’s how to check and get it fixed for free. When websites get hacked, our team of experts is ready to repair the damage. Contact us for free hack repair, and get an optional website security service to prevent damage from future attacks. 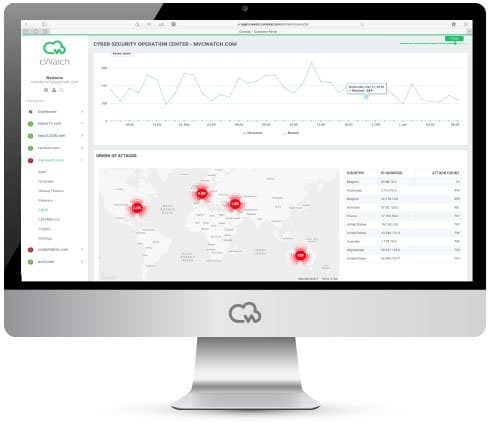 Comodo cWatch helps you clean your website and get it back on track, but even more importantly, cWatch can prevent your site from getting infected in the first place. Contact us now for a free website malware cleaning and hack repair, or get complete, cloud-based protection for your site for as low as $9.90 per month. If a website visitor gets an alert from Google Chrome (or any other browser) that your site is insecure, in all probability your website has been hacked and infected with malware. When such a message comes up, it needs to be understood that a cyber criminal has perhaps infected your website with malware and is then using the website to carry out phishing attacks. You have been targeted by a phishing attack and your website is also used to carry out phishing attacks. Your website visitors can end up being targeted. The image given below shows an alert which lets users know that the website they are trying to visit is infected and could affect them. When visitors to your website get alerts that your site has been hacked and malware-infected, they report it to your hosting provider. 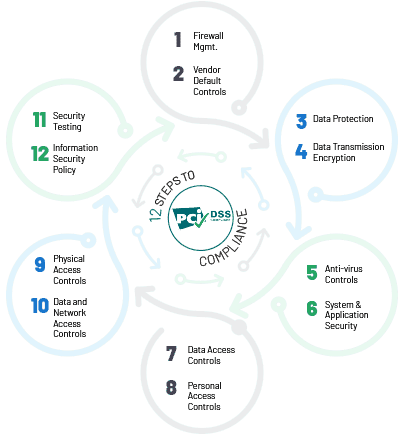 The hosting providers also receive other alerts through their automated security tools or from automated systems outside their company. Following this, the hosting provider will most probably take your site offline. Some hosting providers, as part of their policy, will immediately format the server or hosting account which has been infected. This is done to protect users and secure them against infection, which might happen even after the site is taken offline. The hosting provider would inform you, via email, that your website has been hacked. If such a result is seen in a search the results for which should include your website, it means that your website has been hacked. Most of the time Google removes hacked websites from search listings, but in some cases, they are included with a flagged message saying - "This site may be hacked" or "This site may harm your computer". The first message, "This site may be hacked", indicates that Google has detected something suspicious on your website. This might mean some unusual changes to existing pages, an addition of new pages with SEO spams/redirects etc. 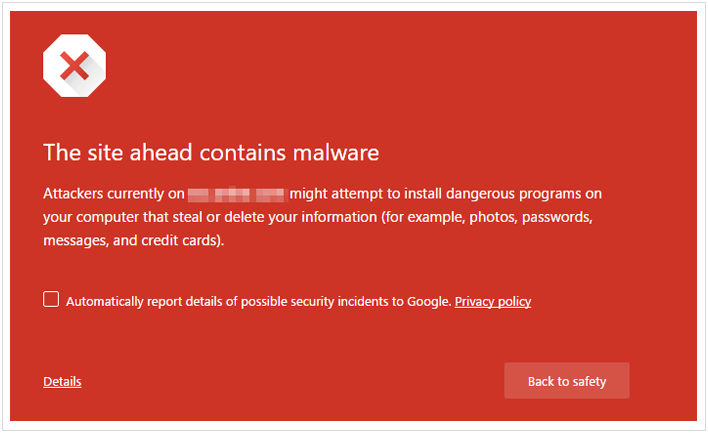 The second message, "This site may harm your computer", shows that Google has detected malware that could cause additional damage to anyone who visits the website. 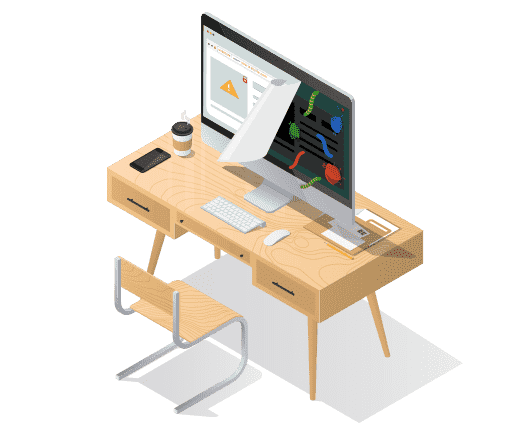 Anyone with a website should set up Google Search Console (which also used to be called Google Webmaster Tools); this provides alerts on any issues that Google faces while indexing the website and also gives stats regarding website visits via searches. 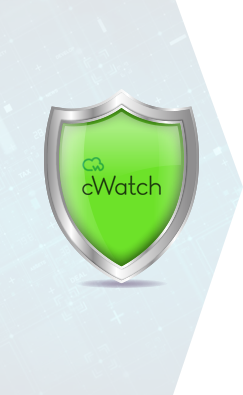 Trusted malware scanners, like cWatch, alert you if your website has been infected/hacked. Many website owners see this as a preferred method since this mostly has the shortest time between getting infected and the discovery of the hack. In case a hack/infection is discovered, you get an alert via email. Hence you need to keep an eye on alerts and also remember not to ignore alert messages simply because you are getting too many. You can set which kinds of alerts you should receive. It's obvious that your website is visited more often by your visitors than you yourself. There could be several thousands of visits from customers and if a hack happens, it would most likely be a customer who finds it out first and informs you even before you receive an alert or Google detects the infection. So, when a customer contacts you and informs you of a hack, first let the customer know that necessary action is being taken and then take your website offline for repair and to avoid further damage to anyone. When a hack happens and a website gets infected, it won't be visible on the outside. 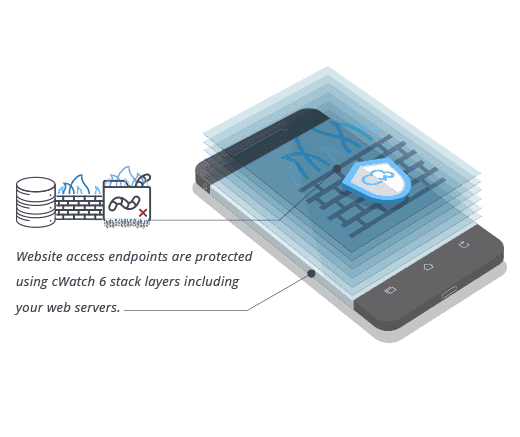 Of the many proactive methods that you can use to check for hacks, the first one would be to use a source code scanner like cWatch. 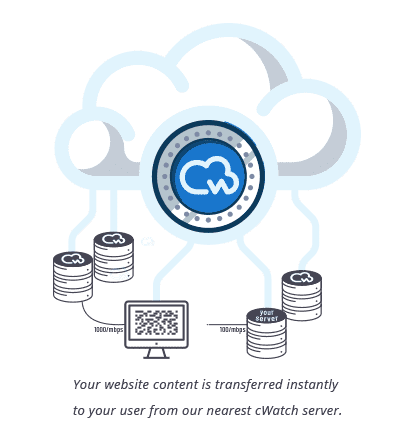 cWatch would do a thorough and systematic inspection of all your PHP and other source codes to look for malware patterns. If something is detected, you'll be alerted immediately. Source code scanners detect hacks by either looking for malware signatures/patterns that match known malware codes. But when it's a newer malware that's there, the scanners compare your source code with a known good version of the same code. Thus newer infections, for which detection signatures may not exist, would also be detected. While using a monitoring service to look for website infections, it's always good to opt for one that detects if there are website/webpage changes as well. If there's a change that's more than a certain percentage, you'd be alerted. 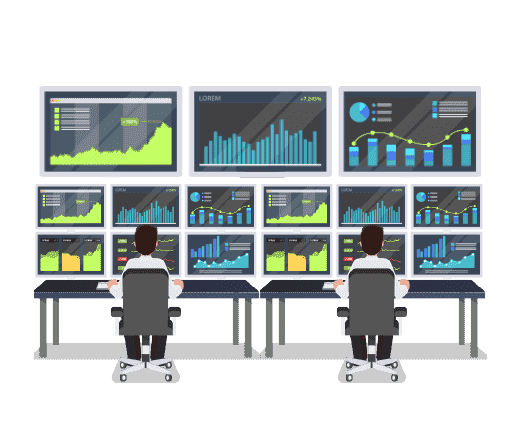 Monitoring services, can help monitor from multiple locations and thus detect hacks when a hacked website targets users in some location or at some particular time. The monitoring can be based on other parameters too, like for example traffic source. It's always advisable to check for hacks on your website using remote scanners, which look at the "rendered" version of the site, ie, the HTML that the website produces and not the source code. So, if a criminal chooses to include malware in the HTML or chooses to include a code that would show malware only to certain users at certain times and matching some particular criteria, it's always possible that such infections would be detected by a remote scanner. Use a remote scanner as an additional tool since it helps catch a variety of unsophisticated infections. You should make it a habit to visit your website regularly and look for changes or strange texts that are injected into your pages. If you find any such thing, a scan could help you detect an infection. Also look for PHP errors which appear mostly at the very top of your webpage and which could signal an infection. Do Google search for your website regularly. Check your website many times every day. Depend on Google Search Console, set email alerts. Use reliable malware scanner, set up email alerts. Rely on customers for inputs regarding website security. Use source code scanner to check for infections. Look out for unexpected, drastic spikes in website traffic. Use website monitoring service which detects webpage changes. Use remote scanners as well. Did you helpful this Webpage? Rating it!